Pitney Bowes DM100 Franking Machine Review | Price & Cost? The Pitney Bowes DM100 franking machine from Pitney Bowes in a low volume franking machine suitable for small businesses. It can process letters at a speed of 30 per minute, has a 2.5kg integrated scale and is compact so will fit well in any sized office. The DM100 could be the solution to your mailing needs; it is efficient, flexible in its abilities and simple to use. Pitney Bowes suggests the DM100 can be used by small to medium businesses who spend around £100 a month on postage. Intellilink makes online services easy to access and use, this includes: envelope message downloads, software updates and tariff changes. 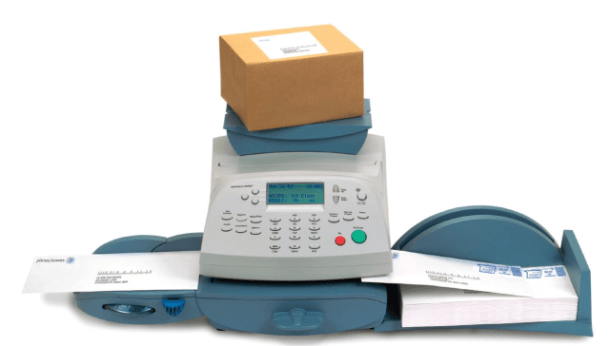 The DM100 is an ideal franking machine for businesses who send mainly letters and small packages, it can weigh items up to 2.5kg and can frank letters as thick as 9.5mm. By franking instead of using stamps your postage will also have a more professional appearance and the DM100 gives you the opportunity to advertise you business by adding a promotional message onto the envelopes – this is extra promotion with no extra cost! As well as these features the DM100 will automatically go into a low-power mode when it has been inactive for a certain amount of time, this helps to cut down energy bills! The exact postage calculation will ensure you do not over or underpay for postage, it’s a lot more effective, efficient and avoids unwanted charges for incorrectly priced items. 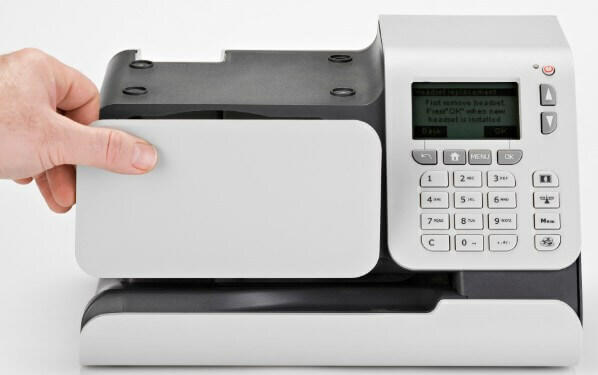 To rent the DM100 could cost £45 – £60 a month, to receive an accurate quote on the DM100 fill out our form and we will help you find the perfect franking machine for your business at the right price. The DM100 is a small but powerful machine. 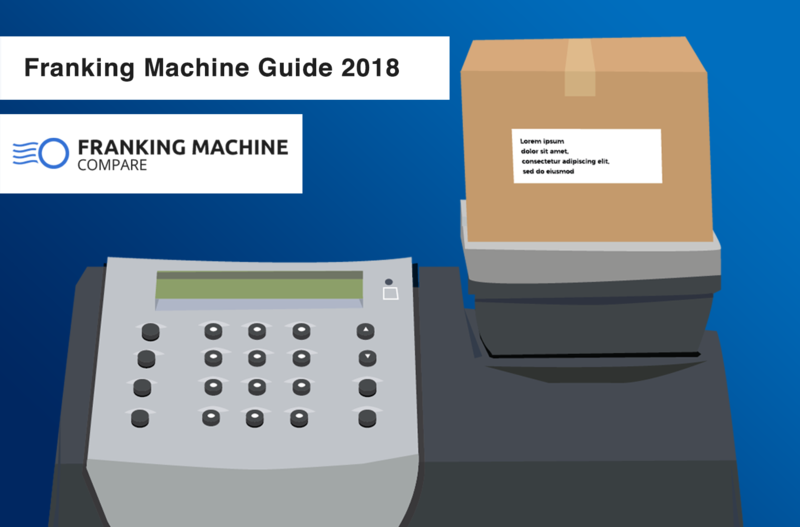 The Pitney Bowes DM100 is a brilliant first franking machine for any small business, it has an impressive selection of features that are designed to save you time and money. 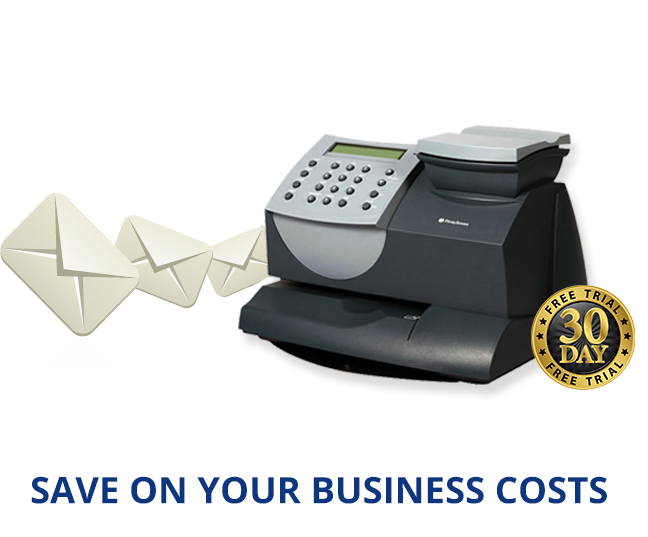 The ease of use combined with the low ink and low postage warnings makes the DM100 a very straightforward franking machine that helps you to keep the post ticking along nicely without taking much of your time or effort. Intellilink software comes as standard with all Pitney Bowes machines, it is a great addition and helps you to make full use of online services. You can even put received mail into the franking machine to have it date and time stamped, all of these features are present to make sure you and your employees are able to focus your time on what matters to you while the franking machine sorts the post for you. The ability to add a promotional message also helps give a more professional and personal approach to mail, this makes it more likely that the mail will be opened by the recipient too! This is a perfect first time franking machine created by respected and popular manufacturer Pitney Bowes.